MANILA — The Diocese of Baguio has commended relief and rescue efforts and offered prayers to victims of Typhoon Ompong (Mangkhut) that ravaged northern Luzon over the weekend. 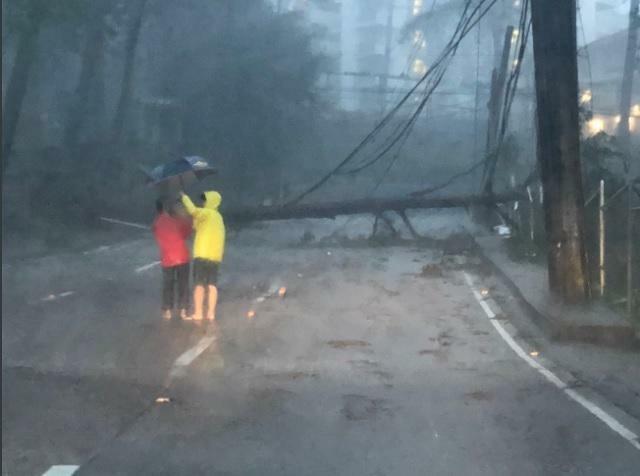 “Even with great sadness in our heart, we offer our prayers to all the victims of the super typhoon Ompong especially those who perished due to landslides and we convey our profound sympathy and condolences to their grieving families,” Baguio Bishop Victor Bendico said in a statement issued on Thursday. “It is difficult enough to witness the devastation around us - the damage to roads, homes, crops, livelihood, and other facilities. But even more tragic that human lives have been lost. We earnestly pray for them,” he added. At the same time, the Catholic prelate expressed gratitude to those who are behind the relief, rescue and retrieval efforts in areas affected by the storm. “We commend all those members of disaster response groups for their heroic efforts in the preparation, assessment and coordination, relief, rescue and retrieval operations, including all concerned people for the outpouring of spiritual and moral support, and for various goods they contributed to help our affected brethren. We continue to assist the victims until they can stand again,” he said. “With our common resolve to help the victims, let us rise to the occasion and prove once again that —united as one people of Baguio and Benguet —no super typhoon can dampen our hope, no tragedy can ever defeat the greatness of the human spirit and our faith in God. I commend everyone to the love and mercy of God. God bless us all!,” Bendico added. At least 50 people have died while many others are still missing cause by the landslide in Itogon, Benguet due to heavy rains brought about by the typhoon.